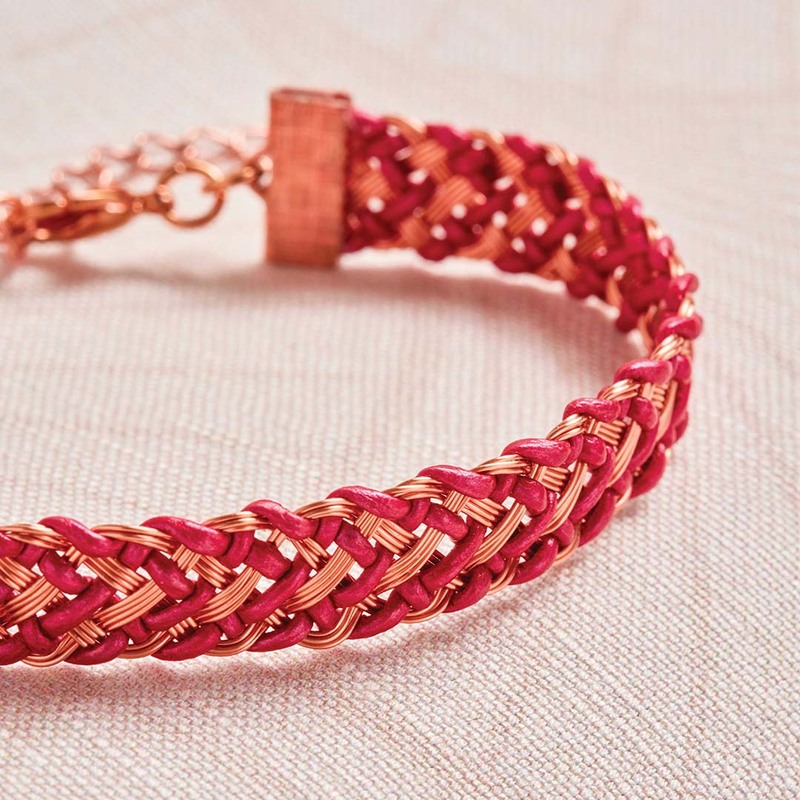 As Christina Larsen’s first leather and wire kumihimo design, the Chevron Bracelet from her book Kumihimo Wirework Made Easy, is a unique and surprising statement piece. In her design, she combines lengths of leather with thinner lengths of wire in one braid to create a unique texture that can only be archived when the two materials are combined. 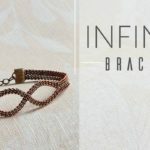 The chevron patterning created by braiding wire and leather together makes for a beautiful that you’ll love making just as much as you will wearing it. 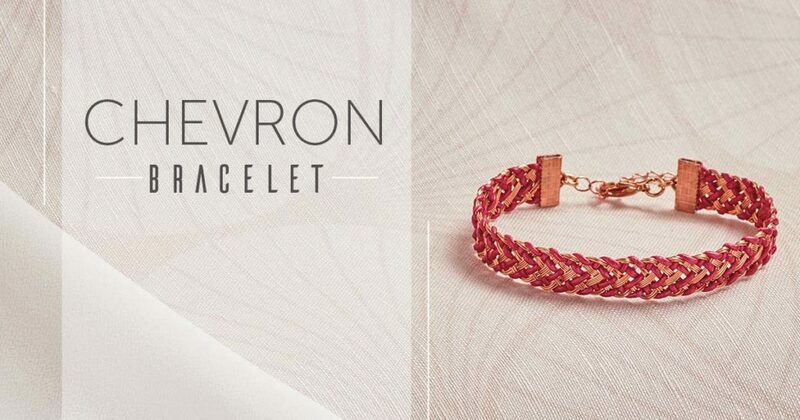 From Kumihimo Wirework Made Easy: Chevron Bracelet. Images courtesy of David Baum. Combine braided leather and wire together in this and other jewelry designs from Kumihimo Wirework Made Easy!